This 2004 first major release by Sam Beam, the creative force behind Iron and Wine, is highlighted by its attention to the idea of endings. It weaves stories that tell of the inseparable nature of beauty, death, and love. Again and again, Beam uses death as a relief in order to show the depths of love. He paints lovers in moments of grief and contemplation, separated by death but still much bound by love. As I listened, I started to feel more and more at peace with endings as a piece of a complete story-a piece as important as any other." 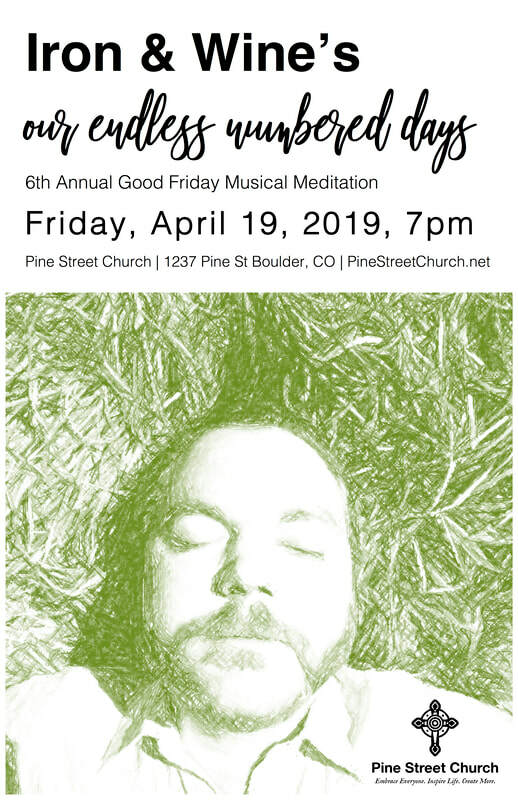 Please plan on joining us and inviting all of your friends, family and neighbors to this unique signature event of the Pine Street Church Music Program. Friday April 19th at 7:00pm. ​This event is free and open to all. Any donations will go towards Pine Street Church's Off Broadway Preschool scholarship fund. Off Broadway Preschool is an arts and music focused preschool whose mission is to provide excellent creativity focused education for preschool aged children. Learn more about Off Broadway Preschool here.